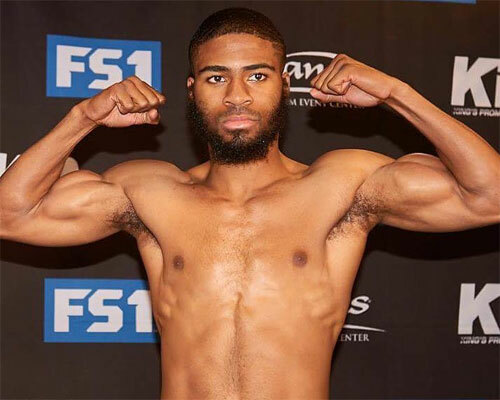 A pair of rising local boxers faced the sternest tests of their young careers Tuesday night at the Sands Event Center in Bethlehem, PA. Philly's Stephen Fulton won his welterweight scrap, while Wilmington middleweight Kyrone Davis suffered his first pro setback. Both fighters hit the floor on this rough and tumble evening of boxing, and both showed resilience and character on this night when their level of competition took a major step up. Stephen Fulton was cursed with having to fill out the evening's walkout bout, after an entertaining but long night of fights. Seven exciting contests went down between 7:00 PM and 11:30 PM, and then Fulton finally got his chance to show his stuff. Needless to say, he had to do it before a mere handful of diehards who stuck around for more boxing when most of the crowd had hit the streets after the main event ended. Fulton came in with a spotless 8-0, 3 KOs, record, but was fairly untested as a pro. His opponent was another undefeated prospect, Adalberto Zorilla of Baymon, Puerto Rico. Zorilla had knocked out each of his previous foes, and came to Bethlehem with the same goal against Fulton. 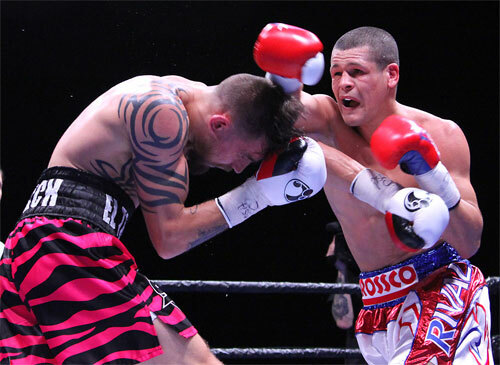 In round one, Zorilla pounced on Fulton, and blasted him with a crushing left hook. Fulton sagged against the ropes and hit the floor hard. He rose to his feet, but looked unsteady. Zorilla jumped back in and went for the kill. In previous bouts, Fulton had shown fine boxing abilities, but appeared to lack a punch. This is a big problem on a night like this because Stephen had to find a way to keep a hard charging Zorilla off him. Fulton collected himself and survived the opening round. Beginning in round two, Fulton's boxing skills took over and he kept the fight at a comfortable distance. Fulton jabbed and speared Zorilla with rights, and suddenly it looked like a typical Stephen Fulton fight. Fulton took rounds two and three to even the scorecard, and with three rounds still to go, had plenty of time to take the lead in the fight. However in round four, Fulton surprised everyone with an adjustment that no one saw coming. Midway through round four, Fulton nailed Zorilla with a sharp right, and the dangerous brawler hit the canvas. Zorilla struggled to his feet, but was in no condition to continue. Referee Benjy Esteves halted the bout at 1:37 of round four. The excellent victory proved something about Fulton, 9-0, 4 KOs, and that's not always the case with early career wins. Fulton showed that he has a chin and the spirit to fight back. Despite suffering a knockdown, this was Fulton's finest hour as a professional. Zorilla lost for the first time. 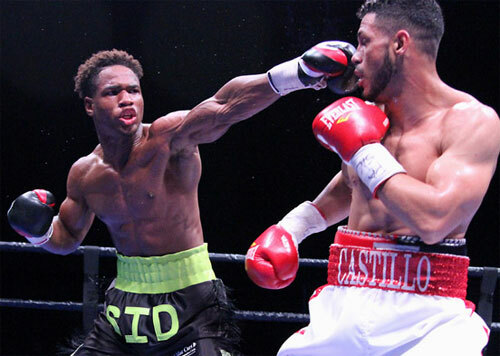 In an 8-round middleweight bout that opened the FOX Sports 1 telecast, Houston's Junior Castillo dropped flashy Kyrone Davis and dished the Wilmington boxer his first professional loss. However like Fulton, Davis showed that he too was full of fight. After winning two of the first three rounds, Davis found himself on the wrong end of a hard left from the impressive Texas southpaw. Davis hit the deck and looked quite hurt when he regained his feet. However, Davis proved that he could cope with adversity. He returned to the battle and fought smartly for the remainder of the fight. Davis lost the fourth round by two points and also dropped the fifth round. However, round five was filled with two-way exchanges. Davis landed as much as Castillo in the round, but the Texan was still scoring with more authority and power. By the end of the round, Davis appeared to be out of danger. Kyrone took the next two rounds and entered the final three minutes in a deadlock on my card. 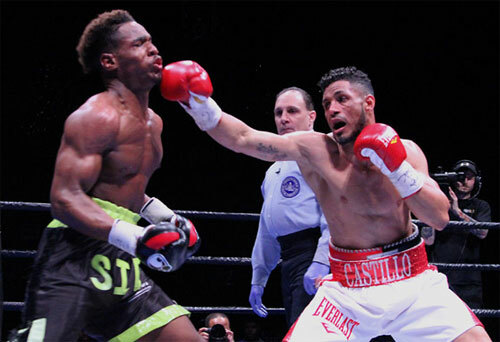 Castillo edged the last-round action and nipped Davis on my card, 76-75. The three official judges all favored Castillo, 76-75, 77-74 and 78-73. The Texan improved his record to 10-0, but was extended to the full limit for the first time. Davis, 10-1, 4 KOs, fell short on the scorecards, but impressed everyone with his toughness and intelligent boxing. First losses are tough to swallow, but Davis will be a better fighter after this one. In the main event, lightweights Ivan Redkach, 19-1-1, 15 KOs, and Luis Cruz, 22-4-1, 16 KOs, fought to a 10-round draw. 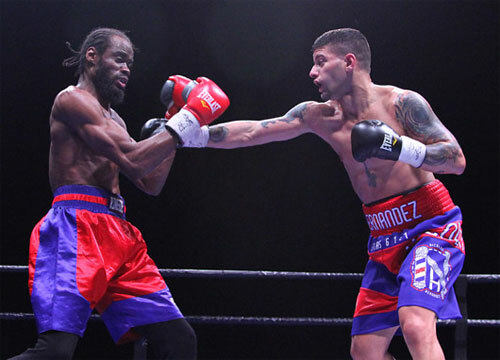 Cruz, of Puerto Rico, dropped Redkach in round two, and Redkach, Los Angeles, returned the favor in rounds eight and nine. It was a close and entertaining fight. From my perspective, Redkach's power appeared to give him the edge down the stretch, and had a 96-92 lead on my card. However the official scores were tied at 94-93 for Redkach, 94-93 for Cruz, and 94-94 even. 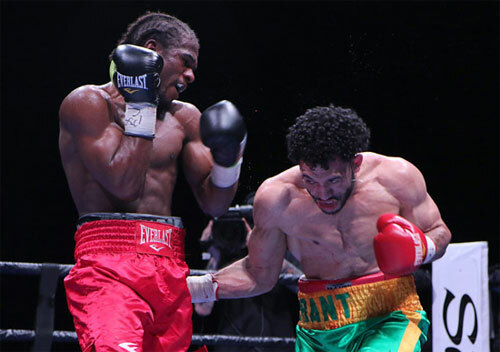 In a brutal middleweight slugfest, also televised nationally, Immanuel Aleem, Richmond, VA, won an 8-round unanimous decision over rugged New Yorker Jonathan Cepeda to remain undefeated, 16-0, 9 KOs. The fight was a two-way war. However in the second half, Aleem landed freely and hurt Cepeda, 17-2, 15 KOs, several times. The game fighter from NY stayed in the fight with his own hard punches, but could not do enough to win rounds. All three judges favored Aleem 79-73. My score was the same. 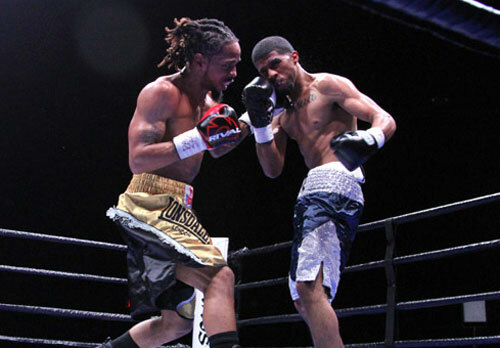 In a battle of debuting welterweights, Harrisburg's Dustin Pague won an entertaining 4-round unanimous decision over Philadelphian Rafael Davis. Davis started strong, but tired badly beginning in round two. This allowed Pague to gain control of the bout and go away with first-win bragging rights. Still the fighters traded blows most of the way. All three scores were 39-37. In a scheduled 6-round junior lightweight fight, Allentown's Frank DeAlba, 18-2-2, 7 KOs, easily pounded the less experienced Daniel Perales, 6-5-1, 3 KOs, for nearly five rounds before the fight was stopped by Perales' corner at 2:55 of the fifth round. DeAlba won every round leading up to the stoppage, and the fight could have been halted a round or two earlier. However, referee David Franciosi seemed comfortable to let the fight go on, despite the beating that Perales was taking. DeAlba looked good, but he was in easy. In a junior middleweight 4-rounder, southpaw Nicholas Hernandez, Lebanon, PA, took the unanimous decision against Jamil Gadsden of Newark, NJ. The scores were 40-36 twice and 39-37. 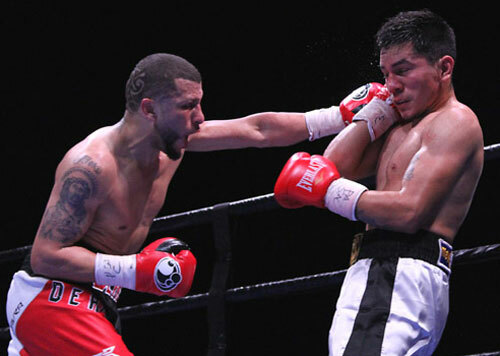 The win improved Hernandez to a 4-1, 1 KO record, while Gadsden remained winless at 0-7. In the first bout of the night, junior welterweight Kent Cruz, of St. Louis, remained undefeated, 10-0, 6 KOs, with a 6-round unanimous decision over Allentown, PA's Jerome Rodriguez, 7-4-3, 2 KOs. The scores were 59-55 and 58-55 twice. The attendance for the show was modest at best, but the matches, the action, and the effort by the fighters were all top-notch.